come, it stops and leaves you to face the fall alone. <>I think that sums up how I felt every year until 2008. With the Phillies coming up short every season that I can remember until last year, I felt as though I was left hanging. 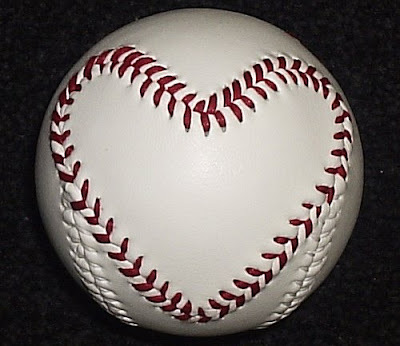 I would never stop falling in love all over again, with baseball, each Spring season, but I was surely heart broken each Autumn. This was surely brought on by my team not making it to the top. Being left feeling like there was unfinished business, just didn't sit well inside. 2008 was different. 2008 made it all worth it. It was the year when the phandom finally paid off. It was the pinnacle of my love of the sport. The Phillies' World Championship season gave my emotional investment a long awaited return. In all the years past, there'd be thoughts of not reuniting with my love. By this, I more or less mean, "jump off the bandwagon". Maybe I'd wonder about simply investing less of myself in the love of our Phillies. Why might I give so much of my heart and waste so much of my summer, only to be let down in the end? Now, I know darn well why....because I was there. I was present when the Phillies won the World Series. And now, since I experienced that feeling, I know that it is all worth it. I know that more than 20 years of that regularly scheduled Autumn heart crushing can, and will, pay off. I know that they can do it and that I will stand by them until they do. For all my tomorrows, I will hold baseball's hand and spend my summers with it, because I know how tremendous it is when baseball gives me a happy ending. Great quote. Thank god baseball is almost upon us! This time of the year is definitely exciting and theres no other feeling like it.